John P. D. McDonald died at age 70 of mesothelioma in his home in Anderson, MO, on the day of our Lord, Tuesday, August 4, 2015 with the support of his kind and devoted wife of forty years. He is survived by his beloved wife, Glenda McDonald, his adoring sister, Barbara J. McDonald Nichols, his daughter, Phoebe McDonald, and his aunt and uncle, Mr. and Mrs. Orville Bubak. He was preceded in death by his grandfather and namesake, Dr. John Powell, M.D., his grandmother Bess Q.L. Powell, his mother Beverly J. Powell McDonald, his father George D. Arnold AKA John D. McDonald and his son who tragically died the day he was born. John was born on July 20, 1945. 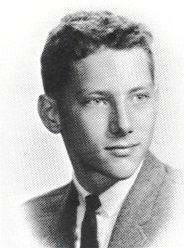 He graduated from the University of Minnesota, Duluth in 1967 with a bachelor’s degree in social sciences. He was a talented musician who headed up the rock band, Cold Duck, from 1969 to 1971. He went on to teach guitar lessons and later became a recognized gold prospector who invented a unique method of sluicing fine particles of gold. He and his courageous wife lived off the grid in the Sierra Nevada Mountains in California from 1981 to 1991 as they perfected their sluicing methodology, grew their own food and carried water to their one-room cabin. Retirement from the business of prospecting brought him to his love of writing. He spent his final years writing short stories, books, blogs, and poetry from his home in Rogers, AR, and then, finally, Anderson, MO. While he will be sorely missed, the legacy of his writings will live on to enlighten and delight.